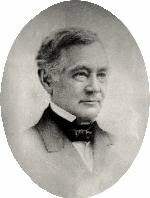 William Fletcher Weld was an American shipping magnate during the Golden Age of Sail. He later invested in railroads and real estate. Weld multiplied his family's fortune into a huge legacy for his descendants and the public.